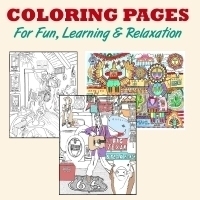 Coloring pages for fun and relaxation. Includes 11x17" printed posters and digital downloads. Made right here in Missouri, USA.